My grandfather died just before Christmas 2013, it was so close we had the funeral on Christmas eve... Needless to say it was a pretty sober holiday season. Afterwards my grandmother decided she needed to clear out her house. What we found was a treasure trove of thousands of negatives - my great great grandparents on my grandmothers side had been avid photographers, they travelled the world over with the British army or on holiday making sure to document their travels. The earliest set of negatives I have is dated 1906 - I set about scanning and preserving this fascinating insight into my family's past. My grandfather was also into photography although sadly let his hobby slip once my father and his siblings were born, so there are plenty of negatives of his travels along with his brother who was in the navy. Once my father was born my grandmother took the mantle of photographer and there are plenty of photos of my father and his siblings - these are the small 16mm instamatic negatives you can see in the top left. The farthest right hand negatives are my own and my parents. It made me realise I have 100 years of negatives to scan and enjoy - and I know that the earlier negatives would be interesting to not just myself but people the world over. 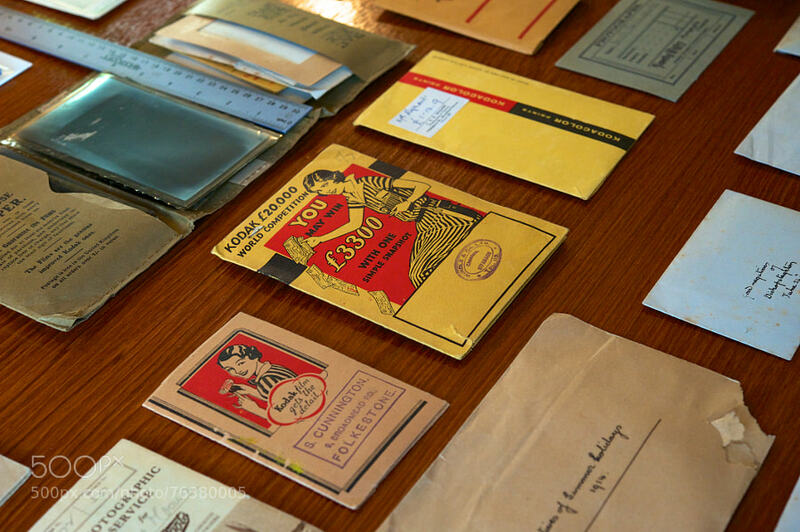 There are a great selection of old photography wallets from all over the world. 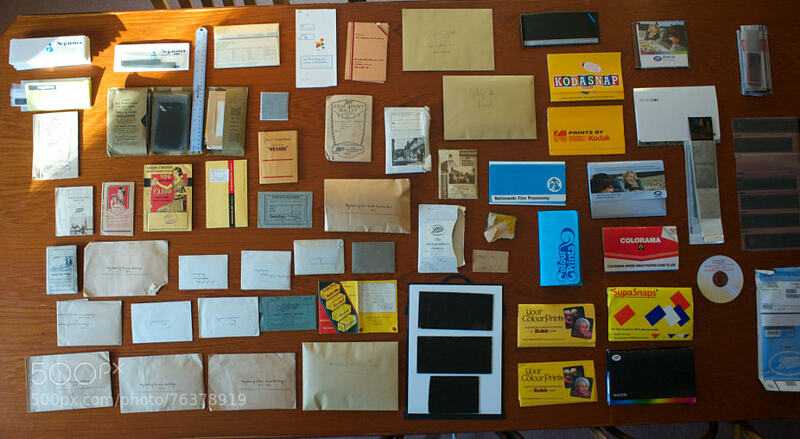 Kodak, Boots, Ilford, and a lot of lesser known local chemists and pharmacies have representation in the collection some of them stamped with exactly where they were developed as you can see from the central wallet in this photo. There are also those with handwritten notes to the developer, requesting them to choose only the best negatives. There are some fun stories that will be shared here. 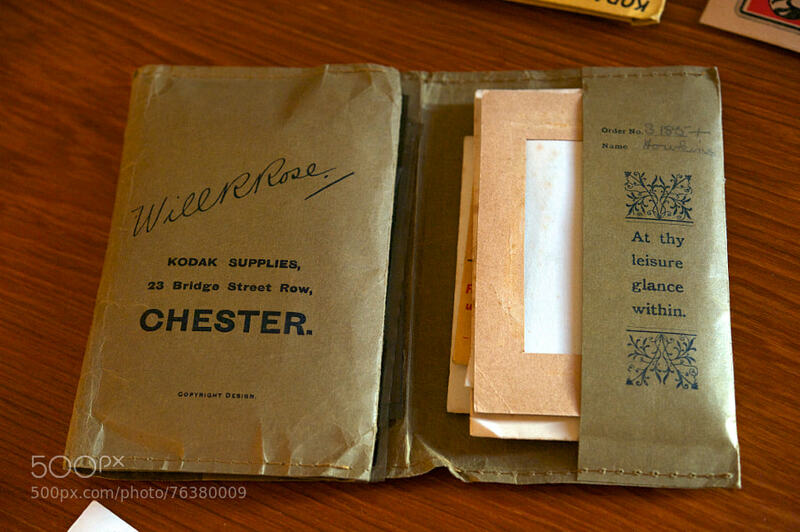 This wallet contained a lot of the 'bad' negatives that my great grandmother sorted. It contained a mix of a lot of different formats, spanning a lot of different periods. 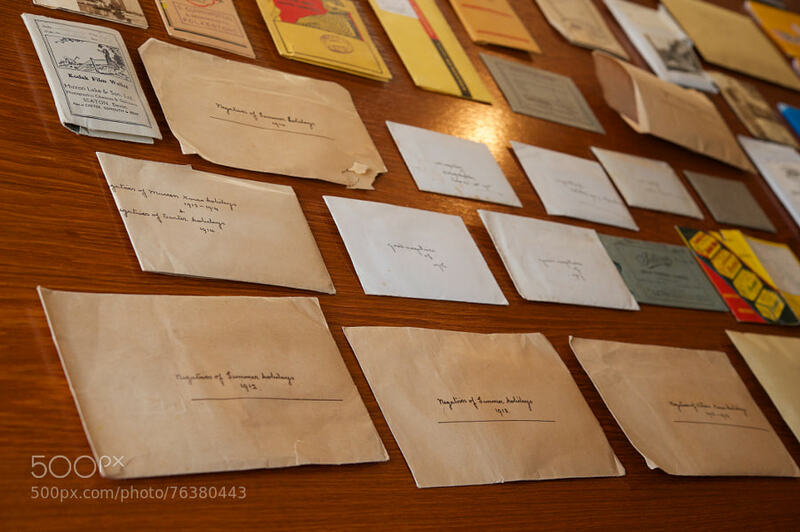 They were a lot better preserved than some of those stored in normal paper envelopes. I'm not 100% certain what cameras were used a lot of the time, judging from the size of the individual negatives and research I have done online we appear to have a range of the following formats. This made it surprisingly difficult to scan, I ended up making templates out of paper in order to line up the negatives correctly in the scanner. 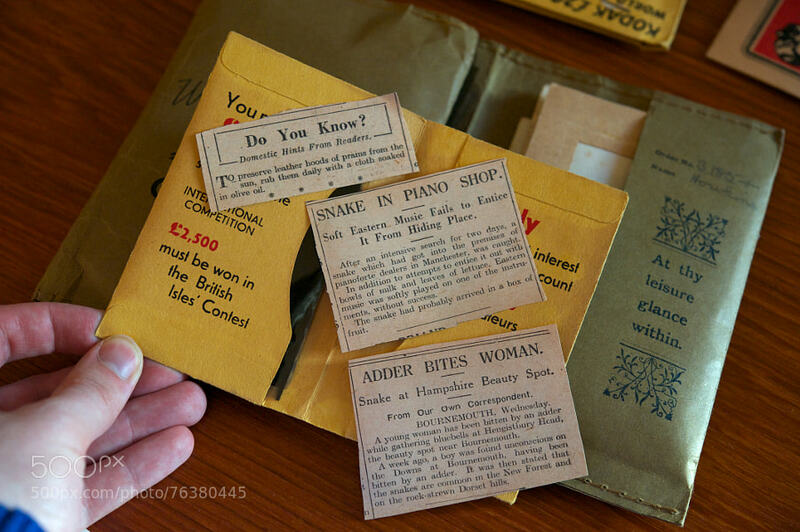 It's amazing what you find slipped into these kind of wallets. Amongst some of the more recent there were some newspaper clippings with helpful tips for the home, as well as interesting articles. My great grandmother's handwriting was great. 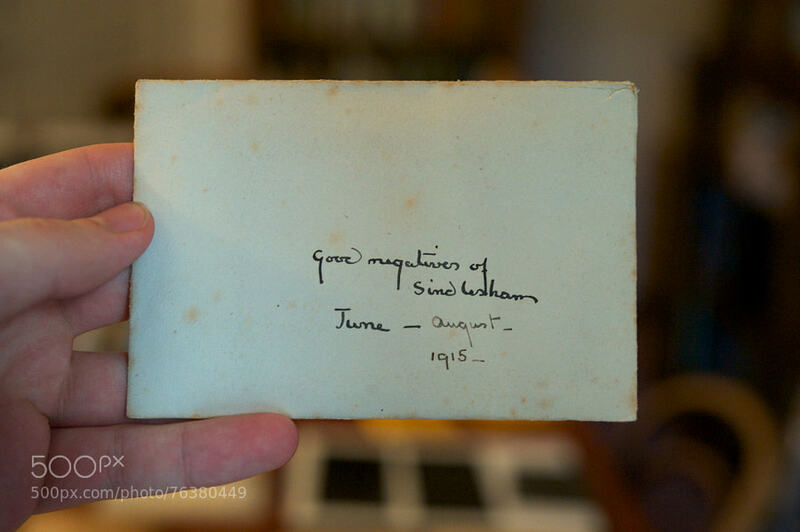 This is an example of one of her sorted sets of negatives. Another thing that's interesting - she didn't always get it right. The photos in this set could not have been before 1924 due to the bronze statue being on top of the Victoria Memorial outside Buckingham Palace in one of the photos. However, more on that later. Sadly as I have said before the paper she used discoloured in a lot of cases - this in turn discoloured a lot of the sorted and correctly exposed/framed negatives inside.